Timothy M. Smeeding is the Lee Rainwater Distinguished Professor of Public Affairs and Economics . 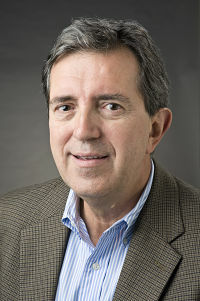 He was director of the Institute for Research on Poverty from 2008–2014. He was named the John Kenneth Galbraith Fellow, American Academy of Political and Social Science, in 2017, and was the founding director of the Luxembourg Income Study from 1983-2006. 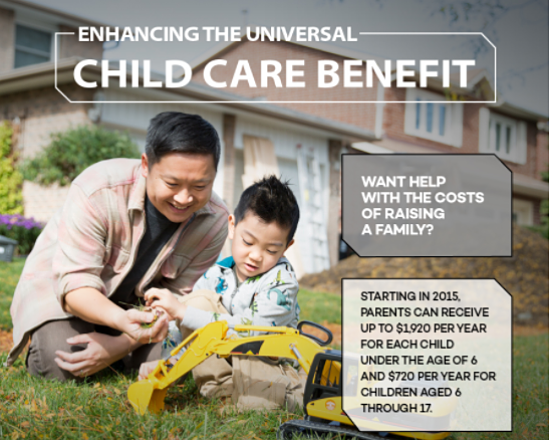 Canada is one of the nation’s currently offering a universal child allowance. On May 18, economist Tim Smeeding, the Lee Rainwater Distinguished Professor of Public Affairs and Economics at the University of Wisconsin, was named the John Kenneth Galbraith Fellow of the American Academy of Political and Social Science during the annual Moynihan Dinner in Washington, D.C. During that event, he proposed that the United States institute a universal income support for children under age 17. This child allowance could at a minimum be funded on the cheap by redirecting money from some existing programs, or better yet, by adding in new funding – something Smeeding argues in the long term would be cost effective. Smeeding comes by his ambitious proposal after a years of scholarship focused on poverty, inequality, social mobility and attempts to address these issues through government intervention. He directed the Institute for Research on Poverty from 2008–2014 and was the founding director of the Luxembourg Income Study from 1983-2006. 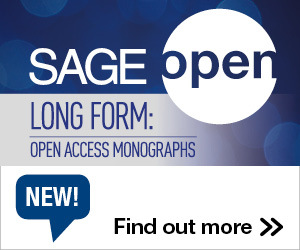 He written extensively on these subjects as an author or editor, as represented by such recent books as SNAP Matters: How Food Stamps Affect Health and Well Being (2015); From Parents to Children: The Intergenerational Transmission of Advantage (2012); Persistence, Privilege and Parenting: The Comparative Study of Intergenerational Mobility (2011); The Handbook of Economic Inequality (2009); Poor Kids in a Rich Country: America’s Children in Comparative Perspective (2003); and The American Welfare State: Laggard or Leader? (2010). Americans live in a fragmented society. We are ever becoming more divided economically, socially, racially, politically, and—in the end—personally. The rich benefit from their ability to save and build wealth. They self-insure, preserve their progeny with their own private safety net , and build generational dynasties. Importantly, tax policy reinforces, supports and encourages these divisions, enabling the richest amongst us to save and transmit wealth across generations—e.g., 529 accounts for college, pensions, health savings accounts, expensive housing in exclusive neighborhoods via the mortgage interest tax deduction, and negligible inheritance taxes. For more on this, read Richard Reeves’ new book, Dream Hoarders. The poor scrape by with debt (no assets or savings), living on low wages and mainly in rental housing. Some targeted programs help (SNAP, EITC/CTC) but these programs are always at risk of reduction and sanction, and they are unable to support the poor enough to provide real relief, e.g., for housing costs or enough money for their kids to reach a middle-class lifestyle when they grow up. What can be done to reunify Americans in this situation? In the rich countries of the world, meeting basic needs and ‘merit goods’ that directly or indirectly benefit all of society and promote upward mobility, especially for children, are common. Children do not choose their parents, a child’s greatest uninsured risk. And equal opportunity means that we need basic support at some level for all kids in terms of health, education and income support. The USA has one such universal benefit—K-12 education (with attempts to add two years on either end). Schools in large part do not perform well because of the inequality amongst the young people who enter them. We used to be the world leader in education, but we are no longer (see Garfinkel and Smeeding). Still, it is our only universal benefit available to all children of school age. The rest of the rich world has universal basic health insurance to give access at low cost to high-quality care for everyone. Needless to say, we have an expensive mess of a health care system. But some far-sighted thinkers, like my former friend and co-author, Daniel Patrick Moynihan, felt that there should be universal coverage for kids anyway. And so the State Children’s Health Insurance Program (SCHIP), Medicaid and employer and tax-subsidized insurance have almost reached this level of coverage for kids, at least until the next ‘reform’ bill, which could undo this progress and provide less access to the health care system for everyone. Now what about income support? Of course we have no basic universal income support for anyone and surely not for kids at present. We have some refundable child tax credits, child tax deductions, and some targeted programs, but nothing universal, permanent, regular and shared by all kids and their parents. We now have massive evidence that a little money early on in life makes a great difference in child outcomes for otherwise poor kids. Very modest income support has been shown to improve child health and developmental outcomes. Poverty-reducing income transfers to families with children also reduce social costs in the long term by furthering educational attainment, reducing crime, reducing homelessness, stabilizing families and increasing labor market productivity. The rest of the rich world has such a support system for kids—they call it a child allowance — universally given to all kids, monthly, in cash, no questions asked. In Canada, parents of kids under 6 are given $500 a month; kids 6-17, $400 a month per child, right now. Similar benefits are given monthly and universally in UK, Germany, France, Australia and more than a dozen other rich nations who have far less expensive child care and health care than we do. It is time we did just this in the name of unification and equal opportunity. At the very least, we should take the current child deduction and child tax credits and replace them with a $150 a month check (debit) every month, for every American child up to age 17. By tapering the benefits for those of considerable incomes, we can make this change at no extra cost to the federal budget. To reach a more reasonable amount, say $250 a month for each child, we would need another $60 billion at year, which would also be very cost effective. And I would leave the Earned Income Tax Credit to incentivize work. How do we do this in pragmatic and instrumental terms? The IRS annually gives SSNs from tax forms and other public records to the Social Security Administration — which has shown its ability to cut monthly checks for elderly, survivors and disabled, and now why not for kids via their parents? What we would have is something to do right by kids every month for every child from Hyde Park through Hillbilly Elegy country; kids from downtown Detroit, Camden, Biloxi and Milwaukee; kids of the rural poor in New Mexico and the Dakotas. For parents who voted for Clinton, Trump or Sanders, parents who work in the ‘gig’ economy, and parents who are serving us dinner tonight, every kid with a SSN gets a very modest check, every month, a true UNIVERSAL benefit for ALL American kids. Deep poverty would be cut drastically, $2 a day poverty would be erased, every parent would have some immediate tangible, cash support for their kid on the same day every month. Contemporary conversations about government policies tend to be toxic as many feel that government is the enemy and not an ally. But we all know that government matters, and in this way, the child allowance can tangibly advance all kids’ prospects, every month, for every parent (and grandparent). To reunite the country’s parents and children, and to overcome divisiveness and fragmentation, let’s start with a modest check for every kid—a universal monthly child allowance. This entry was posted in News, Public Policy and tagged Child Allowance, Inequality, Poverty, Timothy Smeeding. Bookmark the permalink. Post a comment or leave a trackback: Trackback URL.